videolamer.com Can gaming magazines survive? Super corporation Ziff Davis has seen better days. Both Electronic Gaming Monthly and 1Up are being sold because they have been losing money, which the ZD accountants claim is bad for business. Forget that 1Up is also failing for a moment and think about the printed gaming magazine. Has the internet replaced the need for EGM and Game Informer much like literacy replaced the need for PSM? 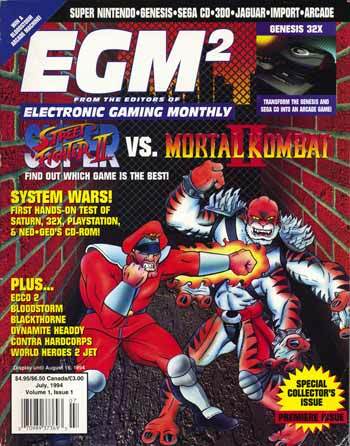 It’s almost hard to believe that at one time EGM was popular enough to sell two magazines. 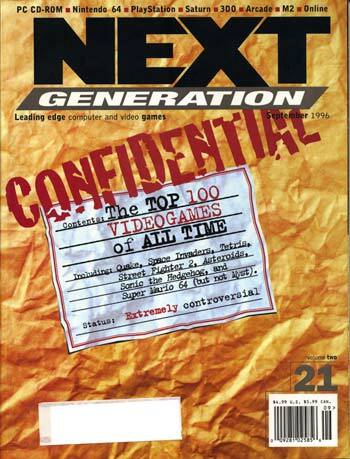 Once upon a time, game mags were the only place to get video game news. The concept of waiting for your mailman to bring you breaking news is comical today; speed of communication is the internet’s forte. Similarly, attempting to contact a writer or respond to an article by writing a letter is almost silly, especially for tech savvy gamers. Gaming sites and blogs allow readers to email writers instantly, and many let readers post comments directly under articles. Not only does this drastically cut down on reply time, it allows readers to become part of the overall dialog. Every time someone reads an article you commented on, your words will be there as part of the overall piece. Preview pictures of games make more sense on the internet than in print. 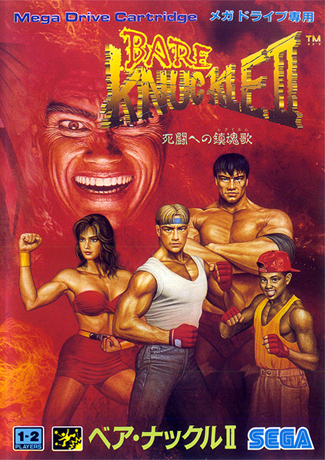 Forty seconds after a company releases pictures of its game, they are plastered on a thousand websites for anyone with an internet connection to see. And magazines are not just limited by how infrequently they come out, but by physical pages. Finally, most web pages are free to visit. Some gaming sites attempt to charge readers for “premium” content, but the vast majority of information can be found at no cost. Compound a print magazine’s lack of interaction, news stories delayed by up to a month, and the fact that it must be paid for and it is no surprise that Ziff Davis is not making a profit with EGM. But all is not lost. There are a few things magazines have that the internet sites and blogs don’t. First and foremost is talented industry vets. While there are some extremely talented bloggers (cough) and writers on major sites, the majority of internet game journalism is not very…good. The fact is, Ziff Davis pays the 1Up staff far less than their print people and goes through them like my mom through rubbers. Every untalented writer in the world, and many talented ones, would give up a testicle for the chance to write for 1Up (cough) and Ziff knows this. They keep their real talent working in ink. My brother is a programmer and my father is nearly computer illiterate but they both agree that anything more than a page or two, whether it’s an article or email, needs to be printed out onto paper. Ironically, despite text’s being more or less free on the internet, users have incredibly short attention spans and will rarely tolerate anything over a few thousand words. Magazines benefit from being both easy on the eye and portable. Only the most addicted World of Warcraft players take a laptop with them when they crap. Conversely, magazines litter my bathroom floor. If gaming mags want to stay viable, they need to shift focus. Industry vets working in print must use their contacts and insider information to its fullest. Being able to get an interview with a big developer is something most blogs can’t do. Some magazines have done features on gaming jobs (“Take This Job”) and this example should be followed by more. Interviews, game job information, and other insider stuff like hands on previews should fill a magazines pages. Large pictures should not. We know what Final Fantasy XII looks like, and if we don’t we can find out in 30 seconds. Even good magazines fill issues with fluff content. I’d like to see a Top 100 Top 100 Lists article. Reserving your top writers for print magazines works better if they don’t just write well, but write about interesting topics. These guys should have the insight that bloggers and dime a dozen 1Up staff lack. Thoughtful articles on creative topics may mean fewer pages to mock readers in response to their letters, but it could also save a magazine from obsolescence. This means no more top ten lists. The kind of stories I’d immediately click away from are the same I’d gladly read on the bus or train and publishers must realize this if they want to stay competitive. Pie charts, cartoons and fillers need to die a painful death. The internet is better with this nontent (that’s a word I just coined) and so print journalism needs to focus on longer, deeper articles. A magazine only has 50 or so pages a month and it should not be littered with nearly useless material simply because the graphic design guy saw a spot to fill. Gaming magazines are still focused on what makes them different from books so they are image heavy and offer short bursts of content. But this focus is misplaced; no one is going to read a book on games in place of an issue of EGM. For gaming magazines to co-exist with gaming sites, publishers need to focus on what makes them different from the internet. Even if these suggestions do nothing to improve sales, they will at least give serious gamers a few more worthwhile magazines. It’s not a coincidence that Edge and Play are the two best gaming magazines in print and they focus both on in depth articles and are chock full of interviews. In the interest of full disclosure, and perhaps responsible journalism, I looked into recent SEC filings for Ziff Davis Media, the company that owns 1Up and EGM (along with several other publications, in the games and other industries). The numbers are, needless to say, complicated, and it is clearly impossible to state definitively why the executives are selling their operating units. However there has been rampant speculation on these here internets that the reason they have chosen to sell 1up and EGM (along with just about everything else) is that they lose money. Most claims seem to state that the games unit has lost something like $500k, without providing any context. As of ZD’s third quarter 2006 financial filings (the most recent available), this is true, but obviously does not tell the whole story. In 2004 and 2005 the company had also lost money over this period and turned a profit (both times about $3 million) by the end of the year. However the fact that they turned a profit of $5.5 million in 2003 and profits of $3.2 and $3.0 million in 2004 and 2005 respectively does imply that profits are down. The reports go on to indicate that that they have made substantial investment in online that should pay off in the future (its possible it already has begun to do so). So where does that leave us? Are the claims that ZD’s gaming group has lost some money wrong or lies? Not really, but they are at least misleading. Furthermore, it is unlikely most video game bloggers (this one included) are equipped to speculate on why corporate executives are exploring “strategic alternatives.” Only time will tell whether ZD’s investments will pay off, but for now red-faced screaming that ZD is in trouble and abandoning ship on their gaming mags is a bit premature. Of course this has nothing to do with the fact that print magazines will have to adapt in order to keep pace in the lightning-fast paced world of the internet. Good article. The internet has definitely forced the quality of journalism up. It’s cut the middleman out in so many regards, and in the case of gaming, that’s "guy with ideas and screenshots"– because just about anyone can do this. However, what you touch on is what so many media outlets are having trouble with: which is quality content. Where formal media still beats bloggers, as you said, is access to people. At the end of the day, that’s relationship building that takes a full time job and an expense account, and due to the time constraints of developers, is going to be limited to the big "professional" outlets only. But beyond these sorts of feature articles, media has to figure out how else they can provide high impact, unique content in a viably economic way. I won’t even touch the print/online issue, which is a seperate can of worms. You know one magazine that’ll never die? Nintendo Power. Being owned by the super-company has basically solidified their standings until the end of time. I also like the writing in that magazine. It’s gotten to the point where they talk about th entire industry now, not just themselves. I remember when they couldn’t speak of Playstation. But anyway, the main reason why I think print will die eventually is because people, in the games space anyway, are looking for news, news, news. That’s why blogs are huge right now. People don’t care about in-depth articles and interviews. Those lists that are written are quickly skimmed and then moved onto the other, flakier parts of the mag. One thing I do like about magazines is the accessibility of the visuals. For some reason, I rarely look at screen shots online. Again, I’m just looking for news. So, when I read a magazine, the visuals are all over the place, and I can’t get away. This is basically where I brush up on certain games’ screen shots. If mags were free, I’d probably have all of them. But because they cost money, I don’t have or want any of them. matt actually touches on an interesting point here. i think print journalism is in more trouble in games than it is in general news simply because gamers have to be more plugged in by virtue of their hobby. that could mean some trouble for gaming mags. Nice article. To be contrary though, I don’t know if I totally agree with the difference between print and web journalists these days.One small but nice niche site I read, http://www.pocketgamer.co.uk, out of england (ds and psp and mobile games) is edited by Joao Sanches, who used to edit EDGE back when I was in the ‘old country’. For years! I think print just makes writing look classier, basically. But I’m no expert, admittedly. I’m not convinced there is NO difference, but you’re right that the lines are blurring. As print people realize magazines may not be viable much longer (or as they become excited about the internet because they are tech guys at heart and the net is cool) they are migrating from one medium to the other. I think within the next decade a lot of former magazines will have moved entirely online. But to get back to your point, I am only looking at a microcosm but I know that at least based on pay scale, Ziff Davis puts their better writers in print. one thing that magazines are good for: little kids who don’t yet have a computer, or whose parents want to encourage reading, or who have limited online time. i bought a 10-year-old a gift subscription to EGM so he can get gaming news because he only gets to use a computer a few hours a week and usually wants to play HL2 or shop for R/C cars. i don’t think he’s ever read a blog, gaming or otherwise, or even knows what they are or how to find them. so i’d bet magazines are great for that audience. This article is wrong in so many ways. Please do your homework next time. 1. Ziff selling 1up/egm because they’re losing money? Think again – Ziff has planned to sell off its three divisions for years now, and they’ll probably pocket a good deal for the game group. 2. 1up writers don’t get paid as much or aren’t as talented as the print writers? Never mind that everyone on egm also writes for the website, half of the 1up staff started on print (mainly egm) and shifted to 1up as the internet side became more important/viable. And they certainly didn’t take pay cuts. 3. Citing Edge and Play as examples of where print/egm need to. They’re great books, but so few people read them. Edge’s 30,000 circulation wouldn’t even support EGM in the U.S. The only point I agree with is that magazines need to focus on what makes them different than the internet. And, well, duh. 1. That they had lost money the last time they reported in 2006 is a fact and profits have been declining significantly over the past few years. If you know of a reason the group is being sold besides the lack of profitability, please let me know. 2. I have a reliable source that Ziff pays poorly for 1up articles because so many writers will do it for so little. According to this Ziff employee, EGM staff make less for articles submitted to the site. If you know this to be untrue explain who you are and how you know. I may not be able to reveal my source, but I can at least tell you who I am, Mr. Kutaragi. 3. They may not sell very well, which is why I begin the paragraph about those two saying my suggestions may not improve sales. Finally, if the answer to magazines problems is obvious, why do they persist? I fully believe there are many talented people writing online. – “there are some extremely talented bloggers (cough) and writers on major sites” I do think that the nature of the internet leads to the majority being untalented authors, though. I apologize if I came off as insulting to 1Up writers, but the pay scale indicates ZD values print articles more. Hey Jay, I see where the misunderstandings are coming from now. Yes, at one point Ziff paid freelancer writers less for some stories on the web versus those in print (though did pay more for certain other online stories). That said, this was for freelance articles only – not in terms of pay for staff – and has since been standardized across the group. As for lower proficts, keep in mind the cyclical nature of the business (two of the three next gen systems just launched) and that the group has been investing heavily (in online, which has paid off tremendously) as of late. Ziff is selling the game group as part of its plan to sell off its three main business units (tech, games, and enterprise) – it really has nothing to do with lower profits. In any case, your points about the problems facing print are valid, but I’d say that EGM and GFW are doing a fine job of trying to adapt (case in point: CGW/GFW attempted removing reviews/scores from the mag because people could read that stuff on the web – turns out a majority of readers wanted them back, though). I agree that inspiration should be drawn from publications like Edge, but take a closer look at some of the great stories that have run in these mags (particularly CGW/GFW) over the last year and you’d be surprised at how they’re already delivering on what a lot people of have been asking for. Your comments have inspired an update to this article. Thanks for making us do extra work. Damn, this Ken Kutaragi guy sounds a lot smarter than the one telling me to get a second job for a PS3.